Vacuum pump installation precautions- Vacuum Pump - EVP Vacuum Solution! 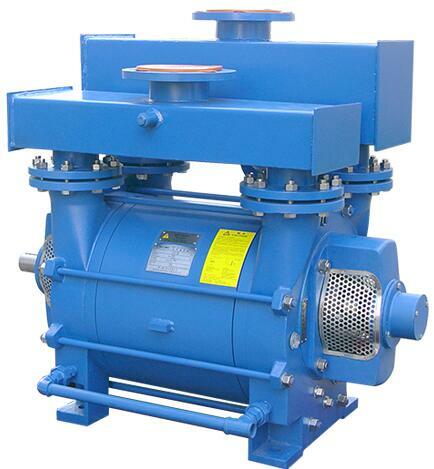 Vacuum pump is a commonly used vacuum equipment in daily production. Correct selection of installation site and use play a decisive role in the long-term normal and stable work of vacuum pump. EVP vacuum pump manufacturer will comprehensively interpret the installation and precautions of vacuum pump for you. 2: Installation site should be wide, good lighting, low relative humidity of air, less dust, clean air and good ventilation. In order to facilitate operation and maintenance. 3: Vacuum pump should be installed in non-explosive area. The surface of the vacuum pump does not touch flammable materials. 4: Reserve maintenance space. The distance between the vacuum pump and the wall should be at least 1 meter, and the space distance between the top of the vacuum pump should be more than 1 meter. Reserve access for maintenance. If it is used in a closed system, it is necessary to install pumping and exhausting equipment to facilitate air circulation. Generally speaking, the air volume of the single equipment of pumping and exhausting air must be larger than that of the vacuum pump. 1: It is very important to select the installation site of vacuum pump. Users often find a place after purchasing the vacuum pump and use it immediately after piping. There is no prior planning at all. Little do we know that such a hasty operation will result in future vacuum pump failure, maintenance difficulties and other consequences. 2: Before installation, check whether the packing box is intact or not, and check whether the unit is intact or not. After opening the box, the handling and installation of the unit shall be carried out strictly according to the matters needing attention in handling. 1: The branch line must be connected from the top of the main line and no solid or liquid is allowed to enter the vacuum pump. 2: When piping the main pipeline, the diameter of the pipeline should not be less than the diameter of the intake flange of the vacuum pump. It is better to choose the diameter with larger design value, so that the pressure drop will not be too large. 3: When piping the main pipeline, the connecting pipeline shall not cause the stress of the vacuum pump accessories. If necessary, flexible joints shall be installed. 4: The main pipe diameter should not be arbitrarily reduced. If the pipe diameter must be reduced, the gradual shrinkage pipe must be used. Otherwise, turbulence will occur at the joint, resulting in a large pressure loss. Elbows and various valves should be minimized in the pipeline to reduce the pressure loss of the pipeline. 5: The exhaust pipe is not allowed to be equipped with throttling devices. The exhaust pipe should be installed in a way that prevents foreign bodies from returning to the pump. And take measures to prevent static electricity. Vacuum pumps have been widely used in our life, but how to use them efficiently has become a problem that we need to constantly explore. Therefore, only when we use them according to local conditions can we achieve twice the result with half the effort. With the development of industry, vacuum pump industry is also developing very fast.